We are keeping you up to date again in 2019! Here are all the new online slots that have been released. Of course, we show you all the new releases from the big slot developers like Netent, Quickspin, Thunderkick, Yggdrasil, Push Gaming and Play’n GO. However, we also give our full attention to slots that were produced by the little guys: very often there are some really fun titles to be found among those as well. We keep track of everything and will give you wherever possible a link to the reviews as well. 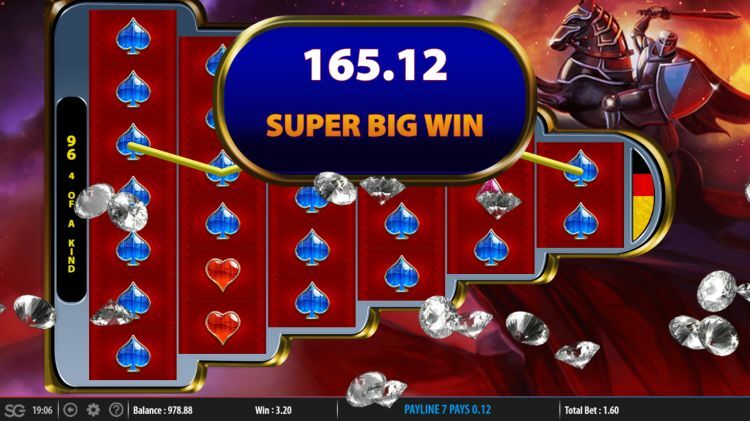 SuperBigWin is invariably the first and best choice when it comes to reviews of new online slots. This is the way to always be in the know and never miss out on any of these fun new releases. Are you a regular player with an online casino? Make sure to check back frequently on this page and don’t miss any of the latest and most exciting slot releases. Discover which slots are newly released in 2019 and look forward with us to the games that have already been announced and will be arriving soon. 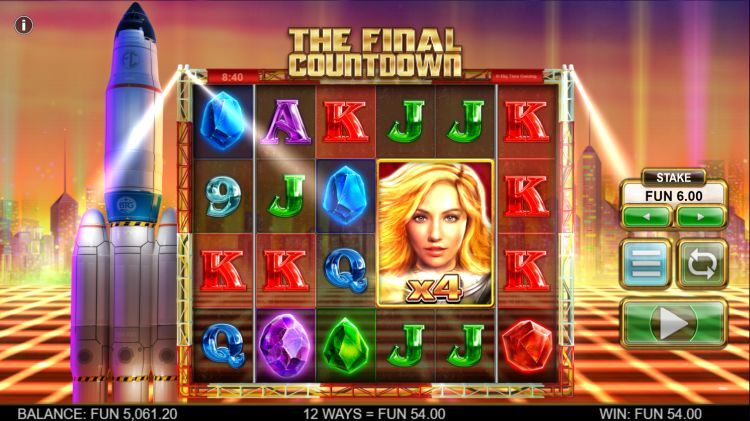 Any new Big Time Gaming slot makes our heart beat just a little bit faster and when we found out their latest slot was based on the famous Europe song from the ’80s, we could not wait to play it. This science fiction themed slot offers linked reels, huge multipliers and enormous potential: it is possible to win up to 36,000 x your total bet. And, of course, it plays THE song. Play’nGo has once again released a very original video slot with Cash Vandal. This time you take on the role of a graffiti artist, and you roam the metro systems in cities like Paris, London and Berlin. There you can show off your artistic prowess and attempt to win up to 5,000 x your bet. Cash Vandal has 4 reels with 10 fixed paylines, a free spin bonus that gives you choices and 3 different mini-features. A fun slot, with remarkably fun bonus features. Spin Town is the name of a fictitious town in which the inhabitants are all a wild symbol. On a green light they cross at a zebra crossing, and that is how they get you extra wilds, bigger payouts and more winnings. You can also earn extra multipliers and even mega wilds. As always is the case with the Red Tiger slots, Spin town is very original and filled with fun features. This is not a slot that that is going to make you incredibly rich, but it is a game that will give you a lot of pleasure playing it. 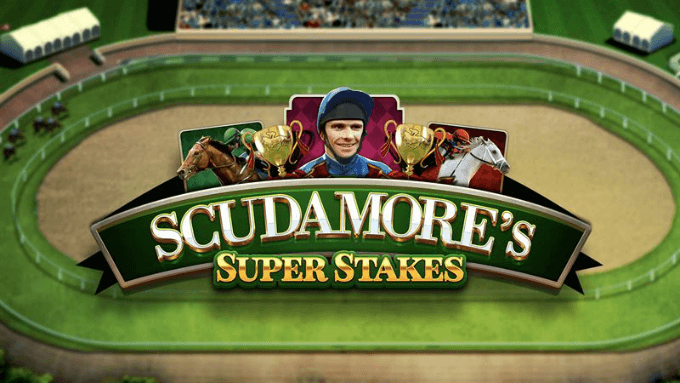 Scudamore’s Super Stakes is a slot that revolves around exciting horseraces, large payouts and the legendary English jockey Peter Scudamore. We naturally tested this slot with real money and fell in love with it. Especially the free spin bonus (which is 2 games into 1) is exceptionally well thought out. You can win up to 5,000 x your bet with this slot, and it is also possible to place lucrative side bets. An online slot that is worth trying out. Dragons Awakening is the latest release by Relax Gaming, which is working hard to become a big player in the industry. Their Megaways slots (Machina and Temple Tumble) have become big successes, and their regular slots are also becoming increasingly popular. 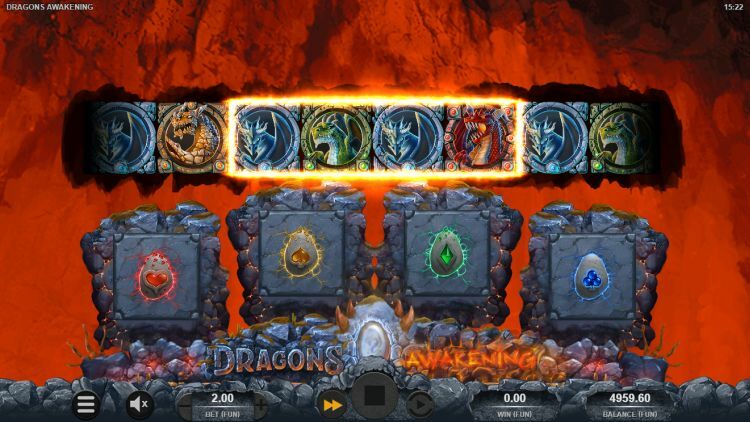 Dragons Awakening is a relatively simple slot with 5 reels, 20 paylines, a dragon theme and 2 fun bonus features. 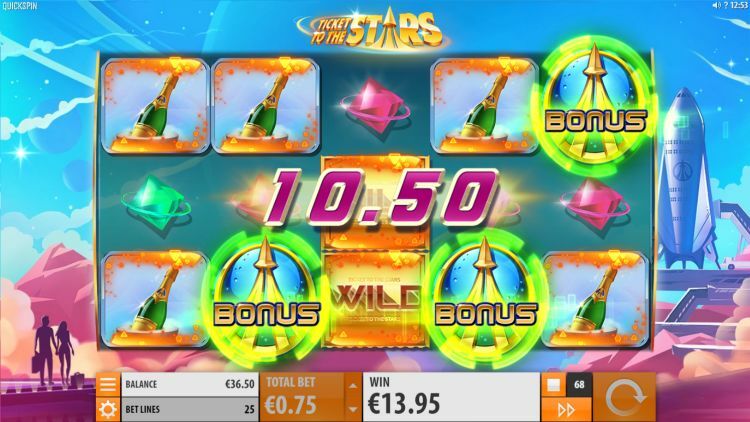 Not to be ignored: this slot has an excellent payout rate of 96.96%. Bookie of Odds is a new release by Microgaming, even though they have already brought this same game to market earlier as Book of Oz. Back then they chose for a Wizard of Oz theme, this time around it became a horserace theme. It was also not a total coincidence that Microgaming decided to release Bookie of Odds a day ahead of the release by Netent of Scudamore’s Super Stakes, also a slot about horseraces. A bookie is a colloquial term for a bookmaker in England. He is the person that takes your bets and gives you the odds. The name of this slot is a clever play on words. Win free spins with expanding symbols and option to freeze the reels during the primary game to respin one reel, for a fee. 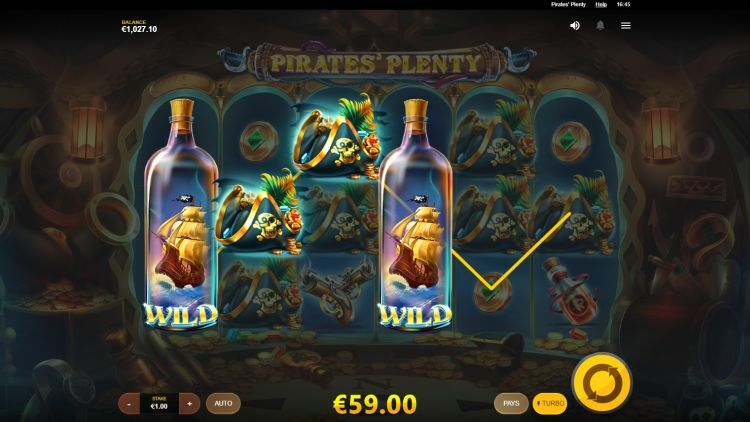 Pirates’ Plenty is as far as we are concerned already one of the most fun, new slots of 2019. This video slot by Red Tiger Gaming has 5 to 6 reels and 20 paylines and a brilliant pirate theme that makes you feel like you are just like Captain Jack Sparrow. But there is so much more: free spins with wild boosters, a lucrative Monkey Wild feature, and the possibility to free up stacked wilds with multipliers up to 5 x. A top-notch video slot that you have to take a close look at. 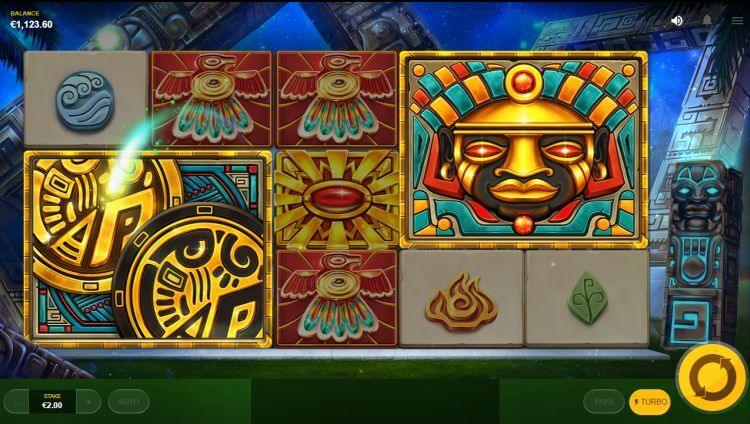 Red Tiger keeps positively surprising us with cool online slots that have fun bonus features and original themes. Mayan Gods is about the Mayan civilization and its alleged connection to aliens. How else could the Mayan population know so much about mathematics, the galaxy, and calendars? This cool video slot has avalanche symbols, increasing multipliers and 4 mystery bonus features that push your gains even higher. 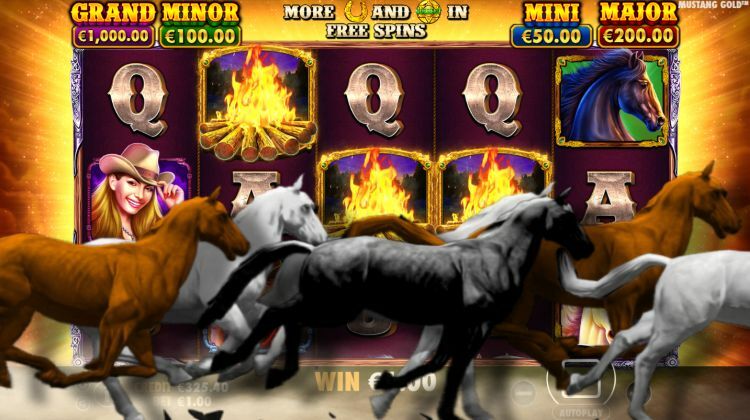 Golden Colts is a release by Play’nGo that came out a while ago, but since the end of February 2019, it can be played at all Play’nGo online casinos. Step into the rough and tumble world of the Wild West, where gunslingers are the order of the day. Do you know how to flee with the gold? 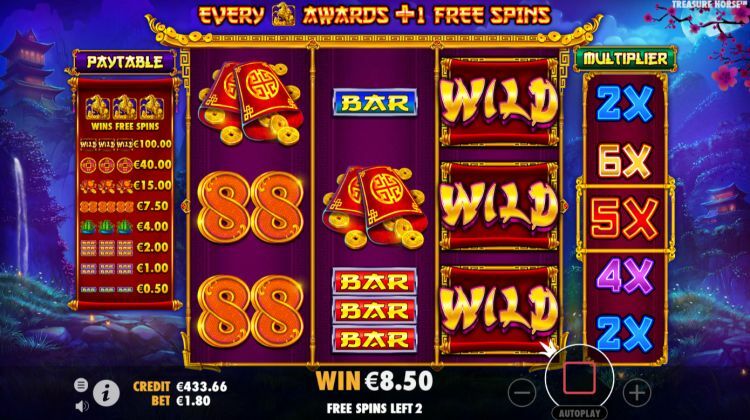 There are a whopping 7 bonus features that you can win in this beautifully designed video slot. 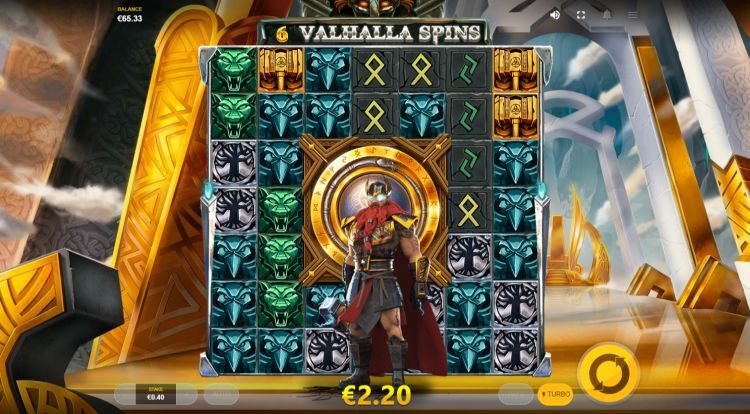 Thor’s Lightning is a cool new online slot by Red Tiger with free spins, cluster plays, and surprising mini bonuses. 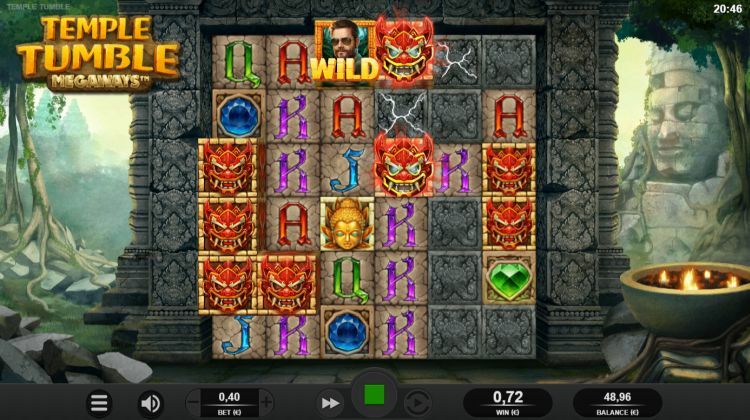 Win 2 free spin bonuses by freeing up the magical 3 x 3 block in the middle of the screen. Let Thor and his magic hammer help you with this utilizing all sorts of sweet mystery features. Red Tiger produces beautiful slots, and this Thor’s Lightning is among their best work. 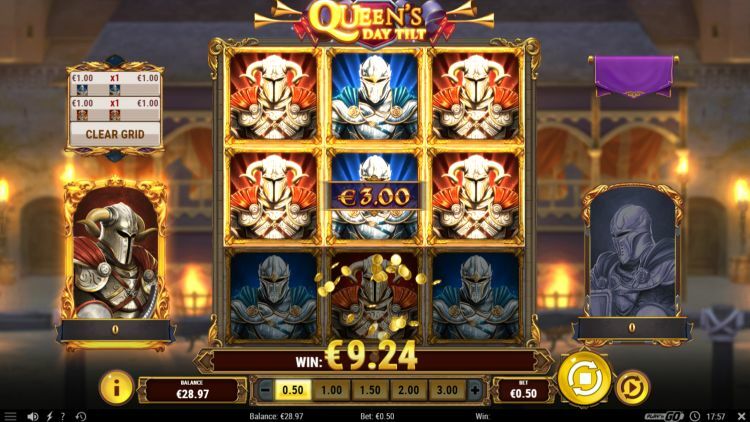 Queen’s Day Tilt is a very successful new release by Play’nGo with a medieval theme, free spins, all sorts of bonus features and winnings up to 5,000 x the bet. The playing field is only 3 x 3 in size, but don’t be fooled: there is more than enough action to keep this game up-tempo. In our review of Queen’s Day Tilt, we came up with a nice score of 3.5 stars out of 5. Ticket To The Stars is the second release by Quickspin in 2019, and it would seem that they have really hit their stride. The focus of this Swedish game developer lies with the production of high variance slots that look amazing. This futuristic slot, marked by space travel not only looks cool; it can also pay out prizes that can go all the way up to 10,000 x the total bet. Avalanche symbols, stacked wilds, free spins, and unlimited multipliers: Ticket To The Stars has it all! It looks incredible and is a joy to play. Treasure Horse is a slot by Pragmatic Play with an Eastern theme, a high variance and a maximum prize of 6,000 x the total bet. After you win the free spin bonus with 3 scatters, an extra reel with multipliers entertaining to the playing field. 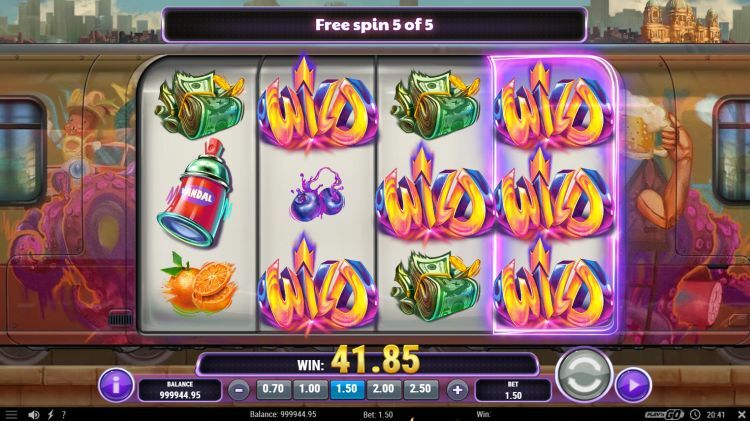 This allows you to boost your winnings from the free spins tremendously! Temple Tumble Megaways is the second Megaways slot by Relax Gaming, and they really made it into a fun, high variance slot. Temple Tumble revolves entirely about the removal of boulders by making winning combinations. If you clear the entire screen, you win the free spin bonus. 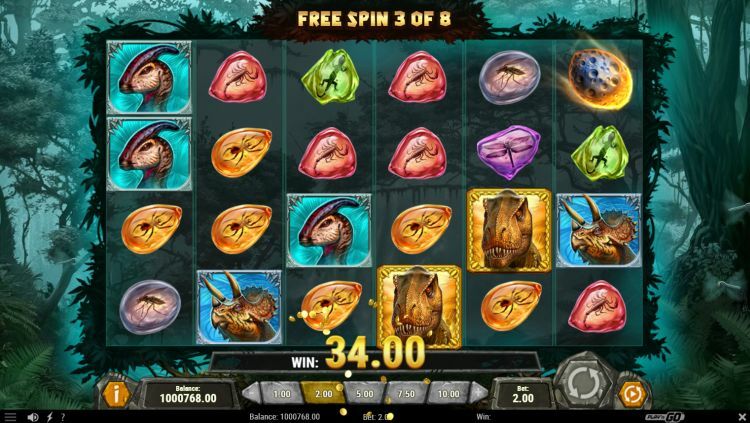 During the free spins, it is possible to play for and get extra free spins, extra multipliers or both. There is a maximum of 46,656 ways to win, and it is possible to get a payout of almost 8,000 x your total bet. In 2018 we were pleasantly surprised by Nolimit City with their release of Ice Ice Yeti, so we were quite curious to see what their first release of 2019 would bring us. 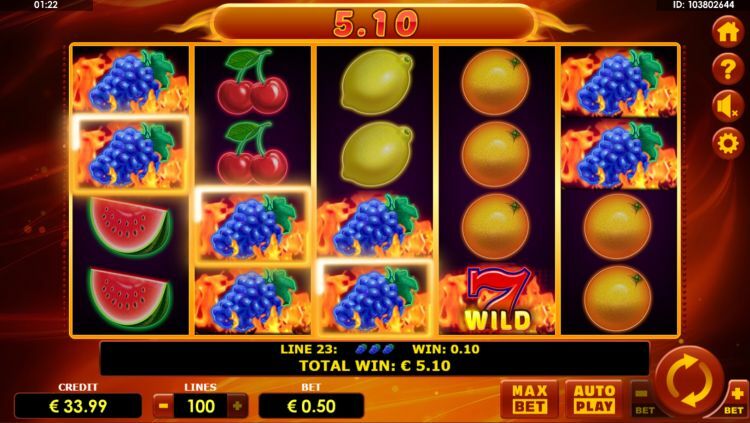 This new slot was given a simple and effective name: Fruits. With 116 paylines over 6 reels and deliciously juicy fruit symbols, Fruits offers fast action and smooth spinning reels. There are 3 bonus features, and each one can deliver sizeable payouts. There are mystery symbols, respins and Lightning Rounds. 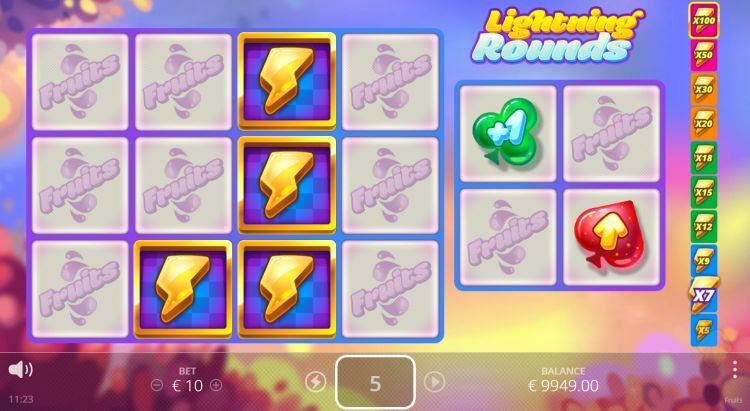 We were definitively raving about the Fruits slot in our review. 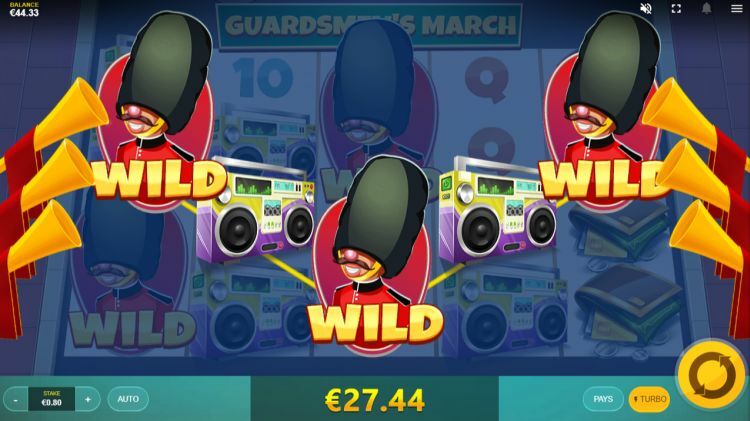 Strolling Staxx is a striking video slot by Netent with mega symbols, wilds, a bonus bet and… square fruit. Activate the bonus feature by spinning at least 1 whole reel with the same symbol and earn free spins that will make the symbols shift a spot. 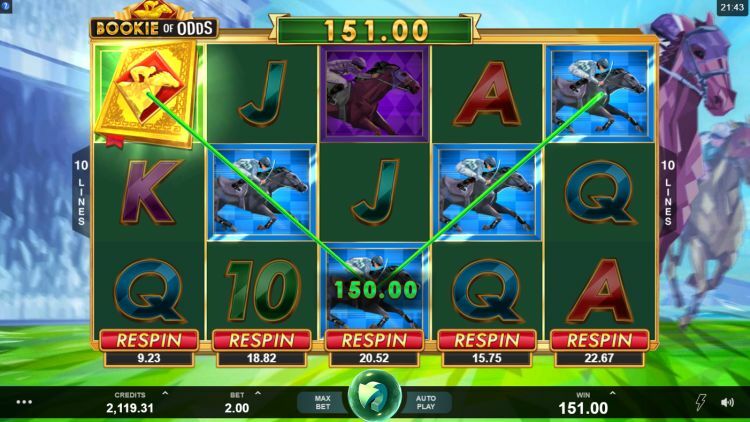 With the Extra Chance feature, you get the chance to spin extra symbols, for extra big payouts. Holy Diver is an insane new Megaways slot by Big Time Gaming. It is packed with surprises, extra wilds, and juicy bonus features. In Holy diver, you team up with a fearless knight to tackle an adventure. You spin the wheels; he takes care of the boosters. There are 3 bonus levels: The longer you decide to play, the more you can win. We were rhapsodic in our review of the Holy Diver slot and gave it a resounding 4 out of 5 stars. WMS stared 2019 very energetic: After Knight’s Keep comes to their second release of the year already, Desert Cats. 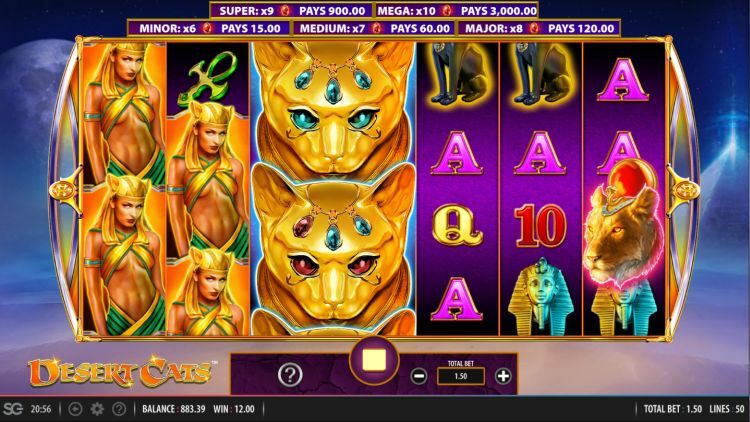 We were not completely convinced in our review of the Desert Cats but is a slot that warrants a closer look. Cazino Cosmos is destined to become a big hit for Yggdrasil. 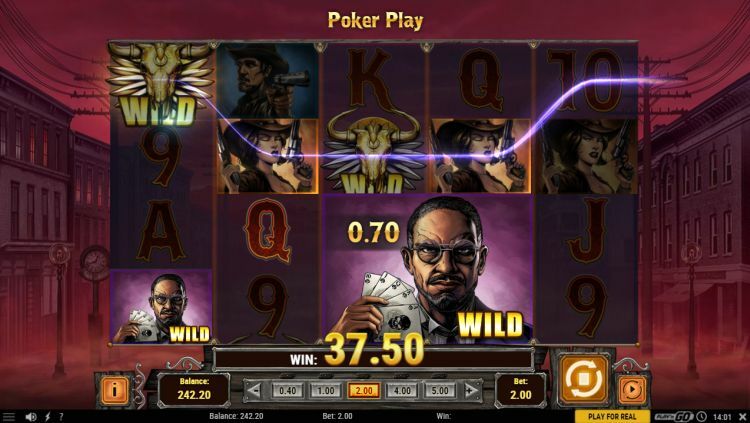 This wonderful, high variance video slot is the sequel to the popular Cazino Zeppelin slot, which in turn was heavily influenced by Netent’s Dead or Alive slot. 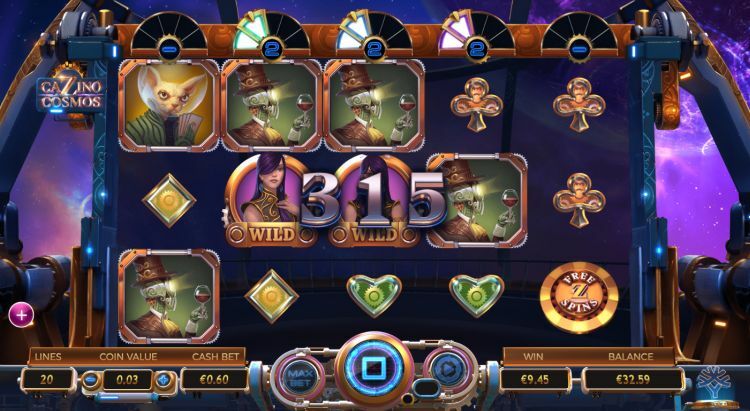 Cazino Cosmos has an exciting free spin bonus with sticky wilds and a retrigger feature. 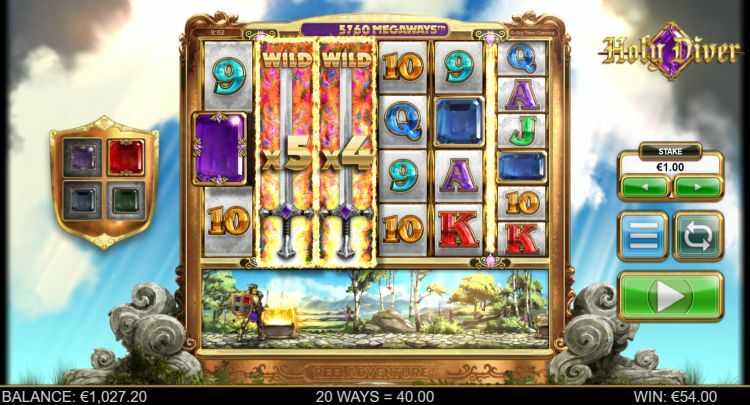 Besides that, this slot also has something new to offer: The Wild Collection. Collect special wilds for extra free spin bonuses with wild boosters such as nudging – or expanding wilds. In our review of Cazino Cosmos, we ended up with a solid 4 out of 5 stars. Mini bonuses with mystery symbols, mega symbols, and multipliers. We tested Ninja Ways extensively and couldn’t keep away from it, that’s how much fun this slot is. Mustang Gold is the beautiful successor of the extremely popular Wolf Gold slot. We showed our appreciation for this slot by awarding it a very nice score in our Mustang Gold review, and we are convinced that this release will soar to the top. 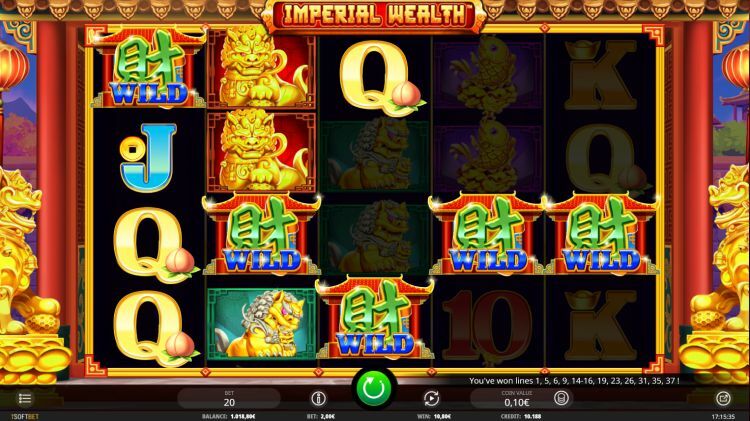 Imperial Wealth is an online slot by iSoftbet, whose releases of really fun slots always seem to fly under the radar. The theme is Asian wealth, so expect lots of dragons, lions and shiny gold. The bonus features are a lot of fun: there is a mystery bonus and a free spin bonus. 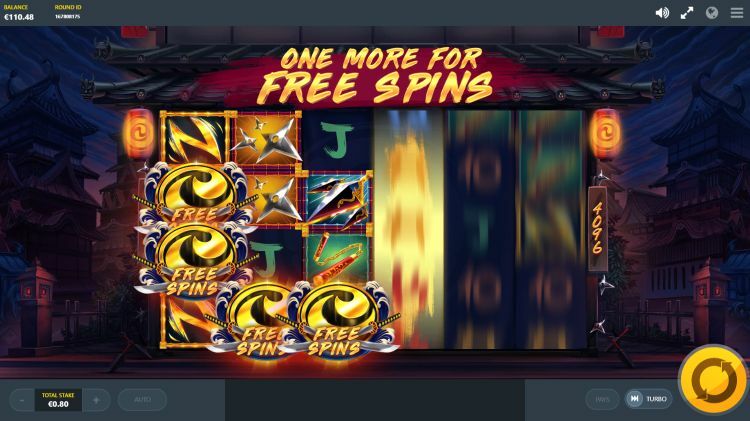 With the free spins, you can pick out some boosters before the spins starting. Open the envelopes and earn extra wilds, extra multipliers and extra spins. The Knight’s Keep by WMS is based on the famous Black Knight slots. There are 192 paylines, and the free spin bonus can pay out exceptionally well. This has a lot to do with the mirrored reels and the fact that every spin 3 to 4 reels receive the same symbol. 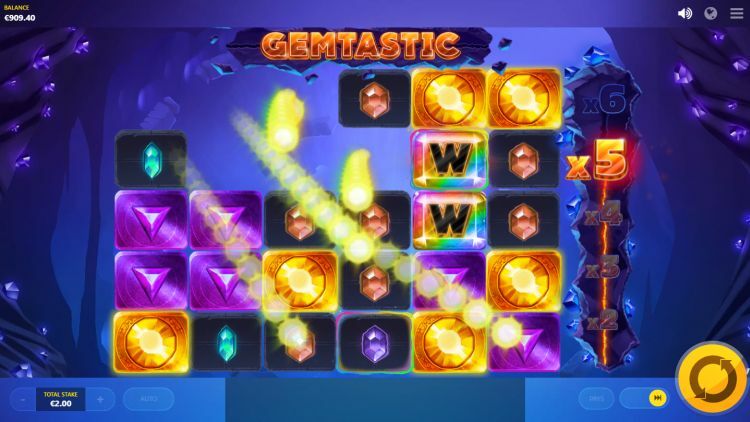 Gemtastic is an insanely sweet slot by Red Tiger that we can recommend to absolutely everyone. Despite the fact that this slot does not have complicated bonus features or free spin bonuses, it is extraordinarily exciting. There are dropping symbols, extra Magic Glow Wilds and multipliers that can go up to 15 x. Also not infantile: you can win more than 10,000 x your total bet on this slot. Play’nGo has announced that it will release a whopping 40 slots in 2019. That holds a hold lot of promise for this year! The first release of 2019 is the Raging Rex slot which comes with a lot of interesting bonus features. For example, there is a furious T-Rex that makes wilds expand on the reels, causing respins to follow. The free spin bonus serves up multipliers up to 243 x and that in turn can lead to payouts of maximum 5,000 x the total bet. 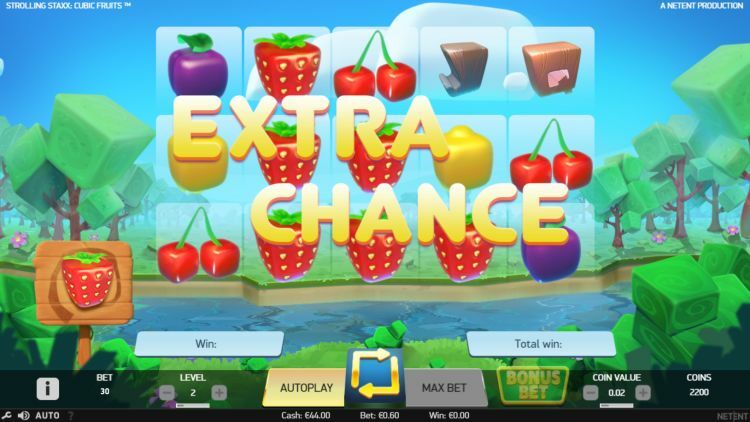 Amatic is the uncontested champion of the online fruit slots, and with this Hot Fruits 100 it has released a slot that will make the true connoisseur salivate. With 100 variable paylines, stacked wilds and a main prize of $€ 10,000, you can have a whole lot of fruity fun with this slot. Play starts with bets as low as $€ 0.10, right up to a maximum of $€ 5 per spin. 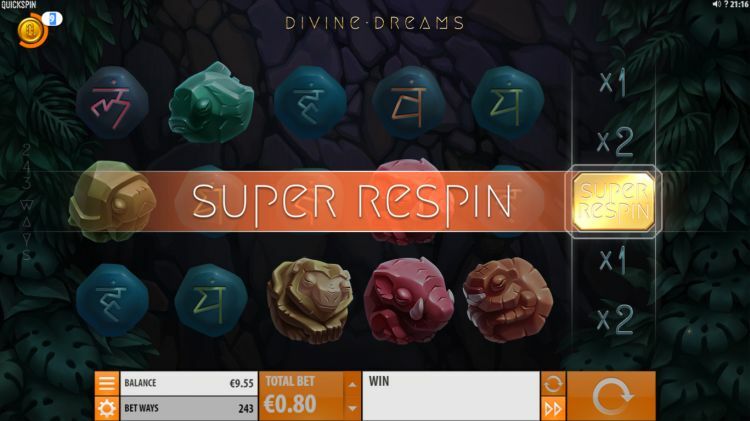 Divine Dreams is a medium to high variance slot by Quickspin that is set in a lovely tranquil Japanese garden. The slot has 243 ways to win and can, using the mystery features and extra multipliers (up to 30 x), pay out as much as 7,200 x your total bet. Divine Dreams looks… well, divine, something we are accustomed to with Quickspin. Trolls Bridge is the first release by Yggdrasil in the new year, and as far as we are concerned, there can be a whole lot more to follow. This slot is a kind of Golden Fish Tank, except it has trolls and mystery prizes. Play with the Golden Bonus bet, and you get 1 extra bonus pick, on top of all the other ones. Turn over the cards and find extra free spins, stacked symbols, extra wilds, and multipliers. This slot is so much fun! Turn Your Fortune by Netent is all about collecting special symbols, finding keys and working your way up to great riches. 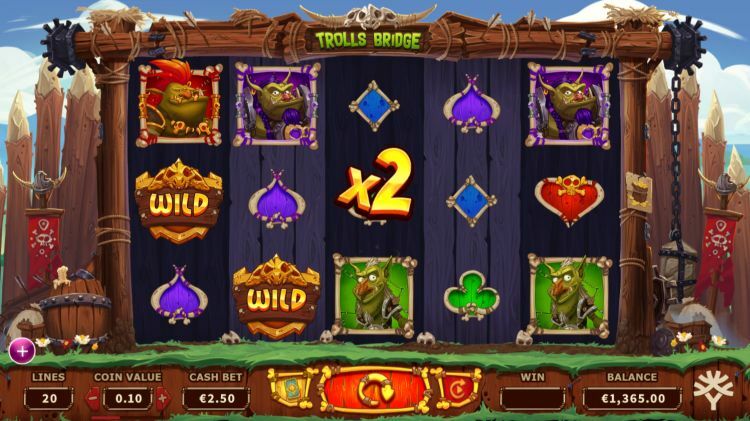 This brand new slot by Netent can have you win up to 2,000 x your total bet. In our review of the Turn Your Fortune Slot, we were especially taken by the unique free spin bonus, where anything can happen. 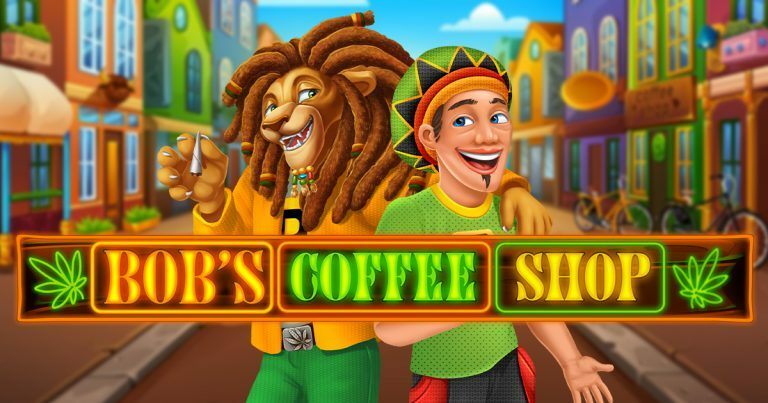 Bob’s Coffee Shop is a new slot that catches the attention released by Bgaming, which is the house brand of Softswiss casinos, such as Spinia Casino. The theme: the coffee shops of Amsterdam where our cool friend Bob and the ultra-mellow Rasta lion are looking for some entertainment. 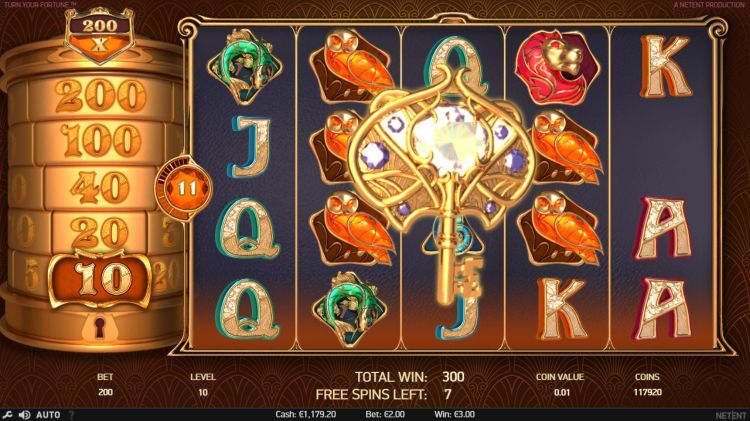 The slot is a Book of Ra clone, with free spins and special expanding symbols. Bob’s Coffee Shop has 10 paylines, a high variance and a maximum price of 5,000 x the total bet. 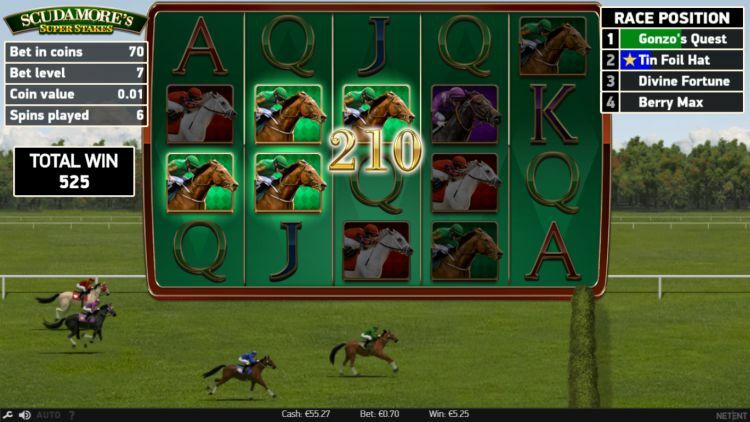 Also, fun: Top 10 Online High Variance Slots and What are the 10 best Megaways slots?